Johannesburg, South Africa – One click and the lights went off and Mandisa Tyabule sat in the dark. 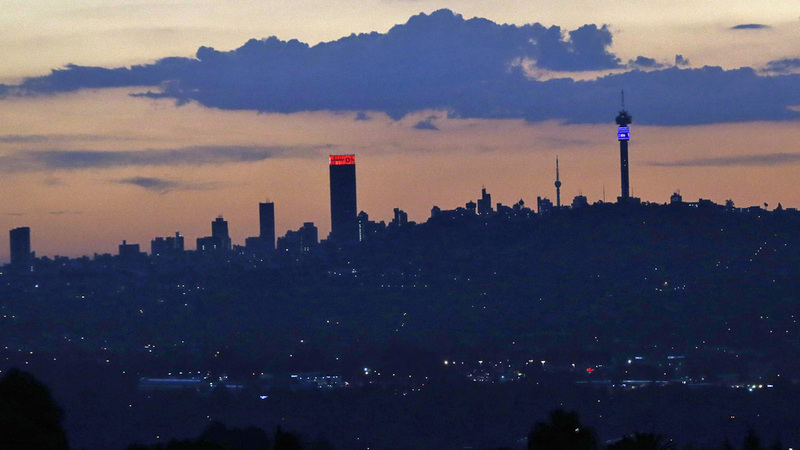 It was Thursday morning and Johannesburg’s Central Business District was hit by another blackout. A loud rumbling noise arose from the core of the building where the 26-year-old South African has her shop. But the machine produces only enough power to keep the lifts running, not enough to supply the retailers. Tyabule pulled out the blue-and-white African print from the needle of her sewing machine. “I am supposed to finish this dress before Saturday morning … How?” she asked. The electricity cut means she will have to work through the night. Tyabule said she doesn’t know how long the power will be off. For small business owners such as Tyabule, South Africa’s power crisis has become a serious inconvenience. Since a coal silo collapsed one of the biggest power stations last December, the state-run power company Eskom has struggled to keep the country’s lights on. The problem is, “the smallest technical fault stops parts of the plant, and that’s why it comes to load-shedding”. Hours-long power cuts have become part of everyday life for South Africans. Like many fellow citizens, the young tailor is worried about the state of South Africa. “I am telling you, this country is going down,” said Tyabule. After the chaos that broke out during President Jacob Zuma’s annual State of the Nation address in February, Tyabule said she is not convinced the current leadership is going to be able to solve the problems. Five minutes into Zuma’s speech, the opposition party EFF was forcibly removed from parliament. Party members had asked the president to pay back taxpayer money that was used to upgrade his private residence in Nkandla. Shortly after, the other opposition party DA left, saying the eviction of EFF members was unconstitutional. Deryl Glazer, associate professor of politics at the University of the Witwatersrand, said Zuma’s address enabled general frustration to boil over. But, he added, it is just one of many things that aren’t going right here. Zuma’s home, estimated to have cost about $20 million, is the most prominent corruption scandal. The reappearance of the power crisis is one of the main reasons why people are feeling frustrated, Glazer said. Al Jazeera spoke to citizens and small businesses in different parts of Johannesburg, all equally hit by blackouts, and the picture they painted of their country was grim. The elderly man, dressed in grey kurta trousers and a white thawb, sat behind the counter at the entrance of the big meat market. While scanning barcodes of halal sausages and lamp chops, Khan told Al Jazeera the random electricity cuts forced him to invest in generators. Six huge freezers and dozens of fridges must be cooled at all times, otherwise the delicate stock spoils. Maintaining generators is expensive, he said, especially when the number of customers doesn’t grow. It costs $100 for every four hours of load-shedding, plus diesel, plus security – a crucial measure in a city with an elevated crime rate such as Johannesburg. “Where are we going? I really don’t know,” said Khan. “It’s killing us,” said the man, a Pakistani who runs a take-out food shop down the road and can’t afford a generator. Analysts say a prolonged period of load-shedding is going to affect South Africa’s already ailing economy. The International Monetary Fund has recently revised its growth prediction for South Africa for 2015 from 2.3 to 2.1 percent. Last year, the country’s economy only grew by 1.4 percent, the lowest since 2010. According to energy analyst Chris Yelland, load-shedding has had severe impacts on the commercial sector. “Restaurants, small shops, small businesses of all kinds are seriously affected. This is not a short term problem, it will take at least one or two years until the problem is sorted out,” Yelland said, adding retrenchments are in the pipeline. Medupi power station, for instance, was planned to produce power by 2011 and is still not up and running. “This is why we are where we are now,” Yelland said. The government has admitted it made mistakes. “Years of under-investment and lack of maintenance to keep the lights on at any cost,” are two of the reasons for the current situation, said Colin Cruywagen from the Ministry of Public Enterprises. He explained that demand for power rose significantly after the fall of apartheid, when only five million households were on the power grid. Now it is more than 12 million homes. “We have established a war room with short, medium and long-term goals,” Cruywagen said. Minister of Public Enterprises Lynn Brown said in a statement that measures will entail Eskom following preventative maintenance schedules, even if it results in load-shedding. “In this way, over time, all our power stations will be restored and will, once again, be reliable and predictable,” said Brown. But nobody seems able to foresee for how long the rolling blackouts will last. Alice Walsh, a 28-year-old freelance graphic designer from one of Johannesburg’s northern suburbs, is trying to adapt to the situation. Every morning she checks the load-shedding schedule online. Too often she has found herself driving around the city, trying to find a coffee shop with power and internet. She laughed at the mention of President Zuma’s State of the Nation address. “We are winking with this embarrassed grin,” she said. The post Crippling blackouts paralyse South Africa appeared first on African Media Agency. Previous articleIs the world better prepared for another Ebola crisis?